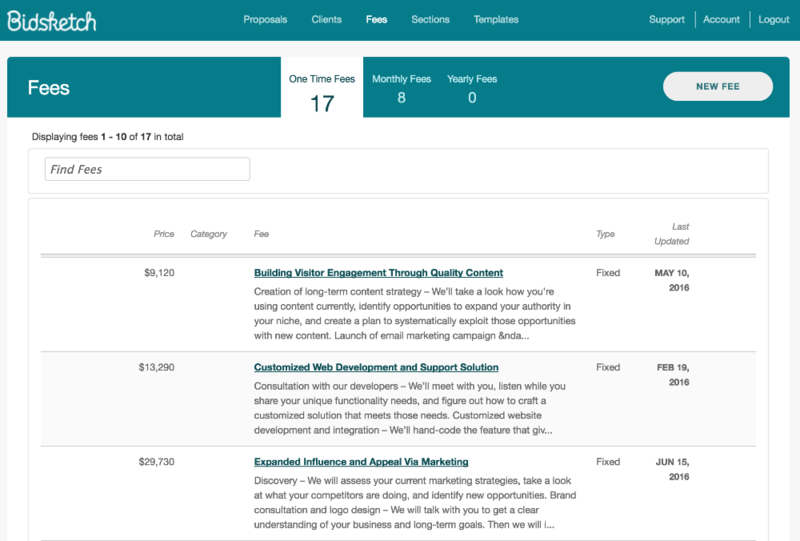 Your fees are where you present the monetary value of your work. Combined with your Sections they outline the financial scope of your project, which is a focal point for many clients. 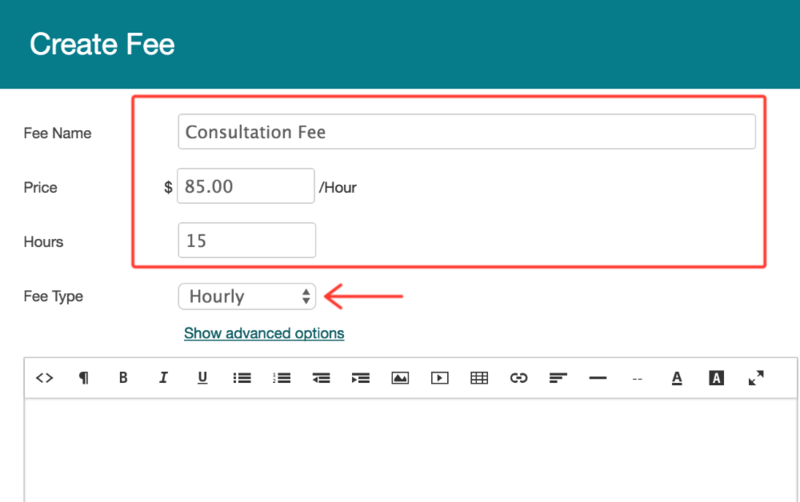 Creating a new fee allows you to outline a cost item from scratch. To create a new fee, click the “new fee" button. Type in the name of your fee, and the price. Here you'll assign your fee type. Just select the type of the fee from the dropdown menu and enter the information. Next you'll add a description of the fee. You can directly enter content into the editor, or copy and paste content from a proposal template you want to import into Bidsketch. The toolbar in the editor lets you format text, add links, images, and more. When you're finished, just click on the “save" button, and you're done. To edit an existing fee, you can hover over the fee (in your Fees menu) and these links will appear. Click on the “edit" link, make your changes, and save. If you want to make changes to a fee but still keep the original version, you can copy it before making edits. To copy a fee, just hover over the fee, and click on the “copy" link. To delete a fee, hover over the fee you want to remove, and click on the “delete" link.